Pre - heat the oven to 300 degrees. Line a large, shallow pan with foil for easy clean up. 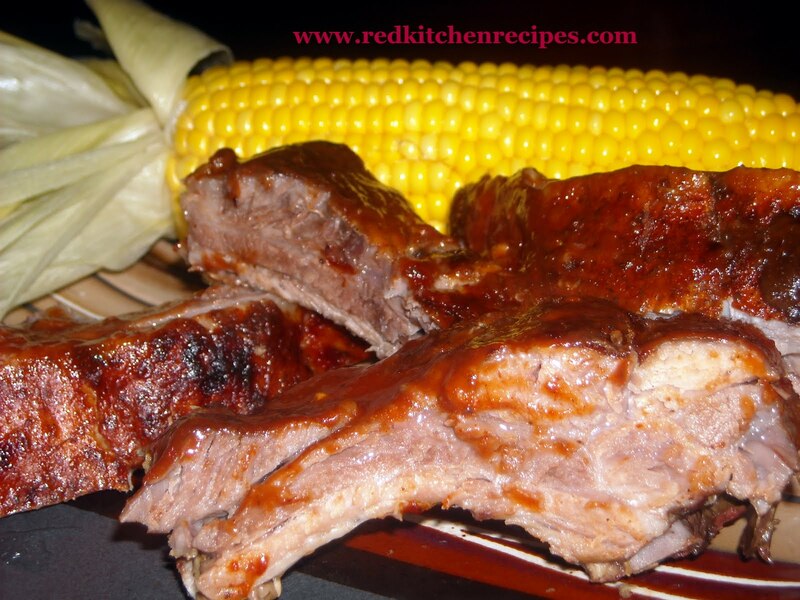 Place the ribs on the pan. You may have to cut it in sections. Sprinkle some rub on the ribs. Sometimes I use Rendezvous Dry Rub - Memphis is our neighbor after all. But this day I didn't have any, so I used Ferneau's Signature Blend. BTW do try and win this June giveaway! It is quite versatile. You can use it on anything! When the oven beeps to tell you it's ready, cover your pan with foil, and put it in. Let it cook for 2 hours. 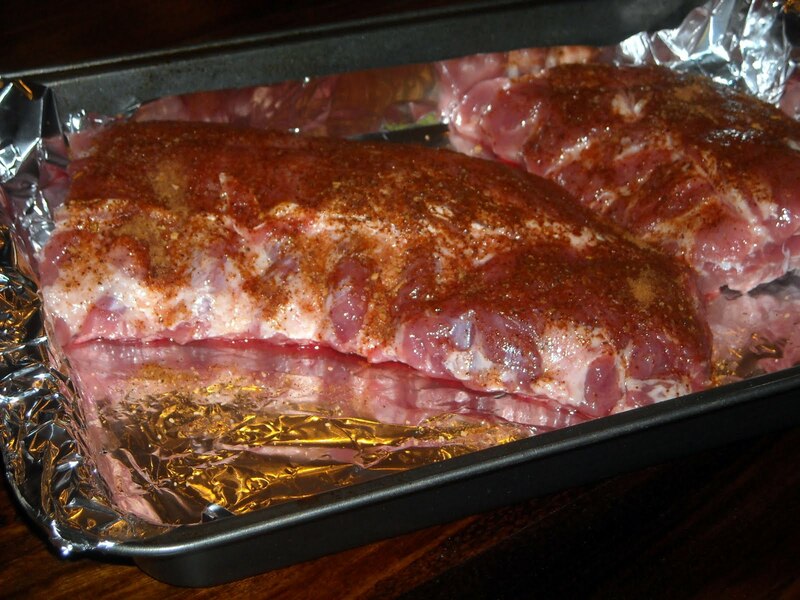 Then, pull the ribs out of the oven. Turn your oven's broiler on. My oven requires the door to remain open to broil. You can watch the oven's heating element up top turn to a bright orangish red. 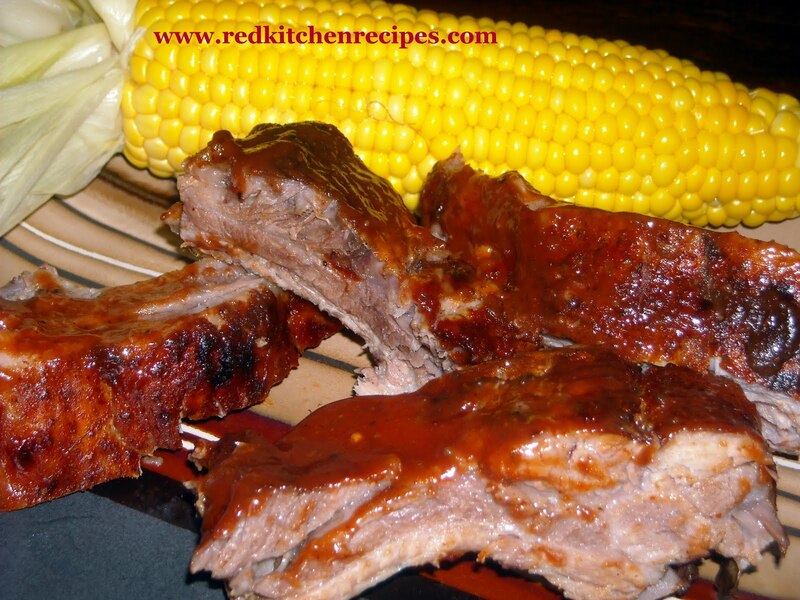 Baste your ribs with barbecue sauce. We love Stubb's and of course Hot Springs' own McClards! When the oven is ready, have a rack as close to the top as possible. Put the ribs back in for about 6 - 8 minutes, however charred you prefer your meat. OR, you can finish the ribs on the grill to achieve the outer char that really completes a rib.